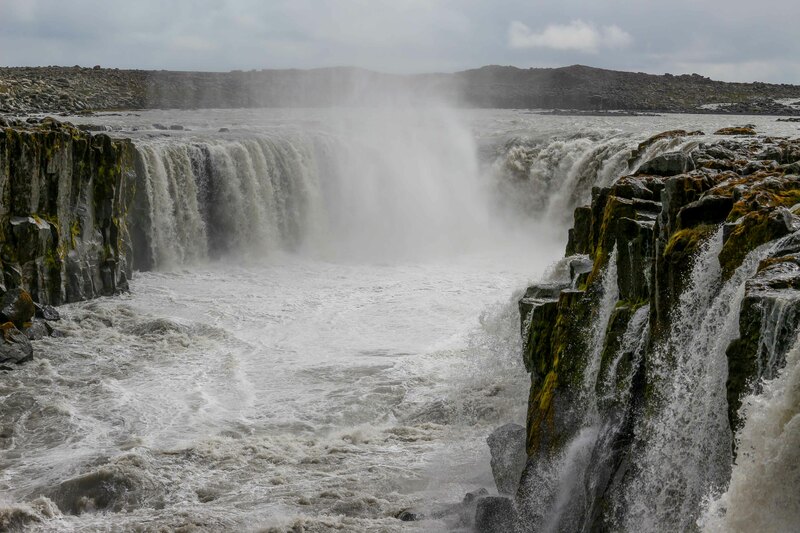 Dettifoss is the most powerful waterfall in Europe, and the one that may have ruined me for all others. It’s canyon was surprisingly formed over just a few days of extreme flooding, which occurred thousands of years apart. My jaw literally dropped when I reached it, and if that wasn’t enough, this awesome rainbow remained there for the whole length of time we visited. 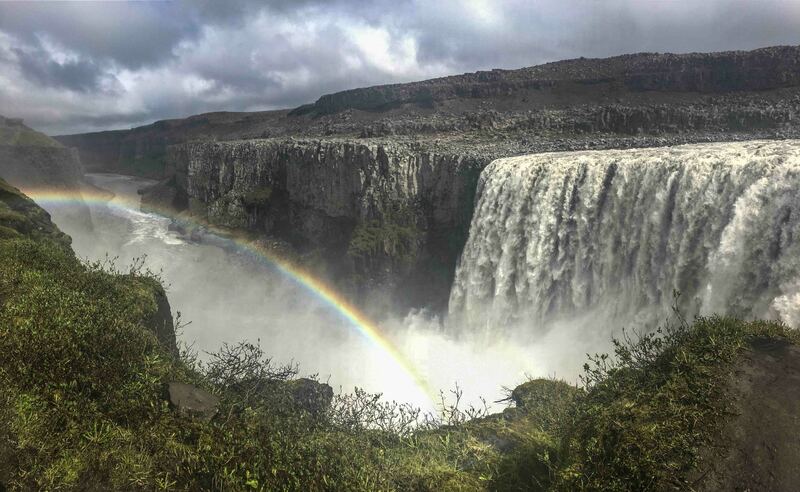 If you’re on a tour of Iceland’s waterfalls you’re almost guaranteed a rainbow sighting, thanks to the combination of extreme moisture and sunlight. 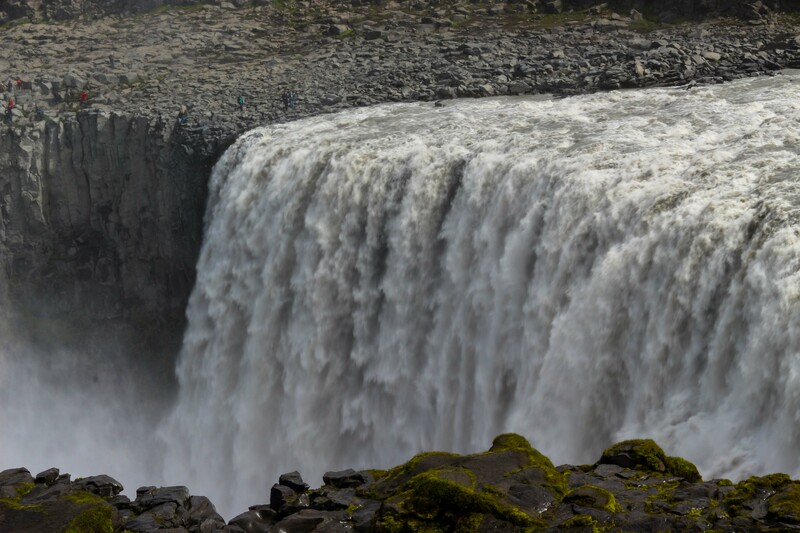 Another extra cherry here is Selfoss, which is a beautiful series of encircling waterfalls, that’s just a short walk nearby. I slept close by in another brilliant location, Myvatn, here.